(August 5, 2018) We’ve been following soul flautist Jef Kearns for a few years now. Jef was featured in XXL Magazine for his cover of Warren G’s “Regulate,” and that gives a sense of his fearlessness in taking the flute to unexpected places. On his latest release, Jef has again taken an unusual turn. He takes on the theme song from the revered action comedy Beverly Hills Cop, and made it his own. “Axel F” was originally an electronics driven number by Harold Faltermeyer that infectiously shot to the top of most of the major charts around the world. Now, with production by Douglas Romanow (producer for Kinnie Star, and engineer for Justin Bieber and Tyga) and mastering by Sterling Sound’s Chris Gehringer (Rihanna, Drake, Wu-Tang, Madonna) Jef Kearns gives Axel F new breath by embracing elements of Reggaeton and Dance Hall. Check out this new version of an old favorite, and welcome Jef Kearns back to SoulTracks. 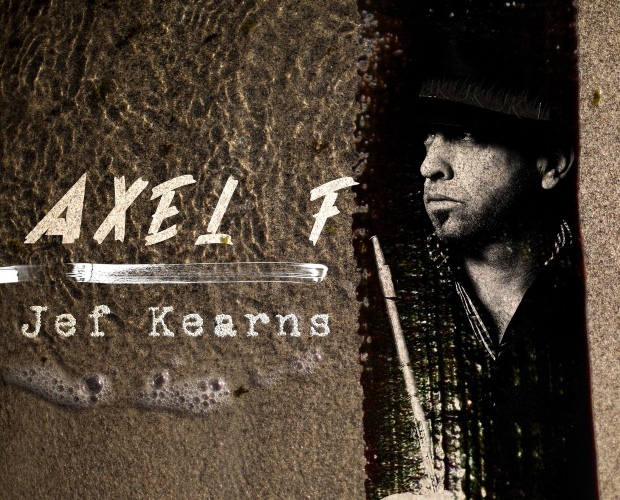 Jef Kearns - "Axel F"
First Listen: Jef Kearns has a "Jazz Addiction"